Tokens such as smart cards, RFID cards, photo IDs or physical keys can be lost, stolen, duplicated or left at home. Passwords can be forgotten, shared, observed – and usually end up written down! Neither approach maintains security at the level appropriate to critical applications like payroll or access control. Punched time cards are the backbone of many industrial businesses. This is no longer efficient as cards get lost and people can use each others cards. So the new and reliable and most effective solution is Biometric Solution.Simple and robust, they are considered the most efficient method to track employee labour hours in labour-intensive organisations.Effort less and easy to edit at any time on the Software we include in the Solution. 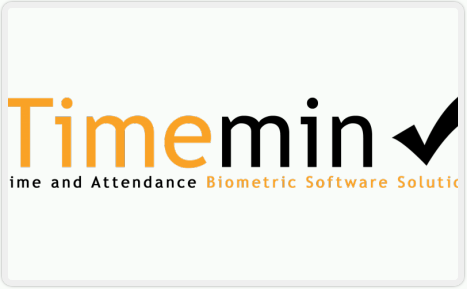 WHY USE BIOMETRIC TIME AND ATTENDANCE SOLUTIONS? Many companies rely on paper-based clock-cards or timesheets, and then retype the data into spreadsheets and accounts systems. Despite hours of typing, processing and cross-checking, the results are often inaccurate and lends itself to fraud and human error. RFID cards and security badges are not 100% accurate as they can be loaned or stolen. Any employee can use the excuse of a lost card to avoid clocking.